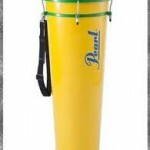 The Pearl Timbao has a plastic head and is made of a light weight fiberglass body which is very durable. 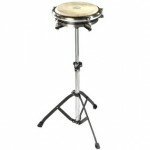 The size is 34″ high, with a 14″ diameter head and 5 tuning lugs. It weighs 19 pounds and a strap is included. 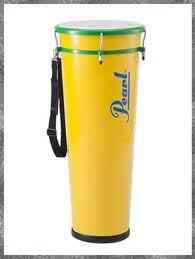 In Brazil the Timbao is much like the Conga drum. It is normally played standing and with a shoulder strap. It is tuned to a high pitch. The Pearl Travel Conga Stand Bridge, model number PPS-50TC, connects two Pearl Travel Conga Stands together for a double Pearl Travel Conga setup. Stands are sold separately. The Travel Conga Stand is designed for fast set-up and break down while using the Pearl Travel Conga. It's a solid, secure stand for standing or sitting and will not creep while performing. A carrying bag is included with the stand. Stands are sold by size of Travel Conga. 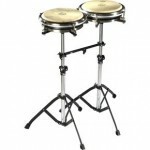 For multiple travel conga drum set-ups, the Pearl Travel Conga Stand Bridge is available and sold separately. The PC 300W double conga stand is a light-medium weight stand designed with Quick Release and a wing nut-less feature for faster set up and tear down. Legs are double braced for added stability. 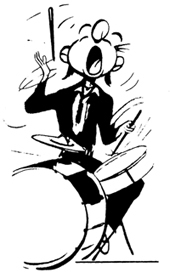 Although a light weight stand, it will support full size congas.